Purple circles expanding and then retracting inside a pastel colored background, these appearing circles will take you from being stressed to a state of tranquility. Use this unique video loop in your DJ, VJ or VDJ sets, useful for any kind of visual performance. 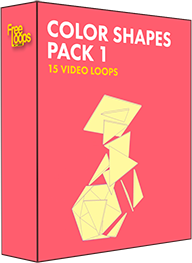 This video loop is part of Color Shapes Pack 1.